Gordon is the owner and head photographer of A Paradise Dream Wedding which he established on Maui in 1998. He is an accomplished, internationally published wedding photographer shooting over 2000 weddings over the last decade. He has extensive photo journalistic experience and studied potraiture while attending college. Gordon established his first photography studio over 20 years ago and has been a success ever since. Gordon with his humor and warm heart has a special knack for making couples feel at ease while shooting. Gordon and his associates are members of the Professional Photographers of America. 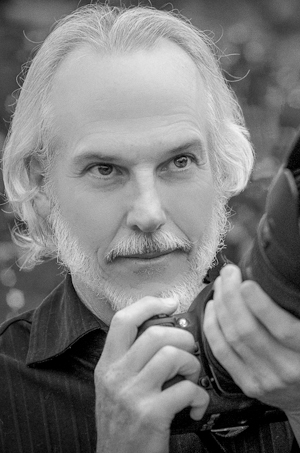 In 2006, Gordon was selected as the first wedding photographer ever to appear in a Nikon Camera Catalog. He is featured in the brochure with 8 of his photographs along side Nikon's new line up of professional digital cameras. Just recently an article about Gordon's photography appeared in Nikon World Magazine Spring 2008 issue. This six page spread featured 6 of Gordon's photographs and an interview with him describing his unique vision and style. Click to view Nikon World article. One of his photographs was just chosen as the cover shot for the Maui Wedding Association Wedding Planner for 2010. You can order this from the association or give us a call and we will send you a copy. In March 2009, 5 of Gordon's photos appear along side the best wedding photographers in the world in the book 100 Techniques for Professional Wedding Photographers by Bill Hurter and published by Amherst Media.